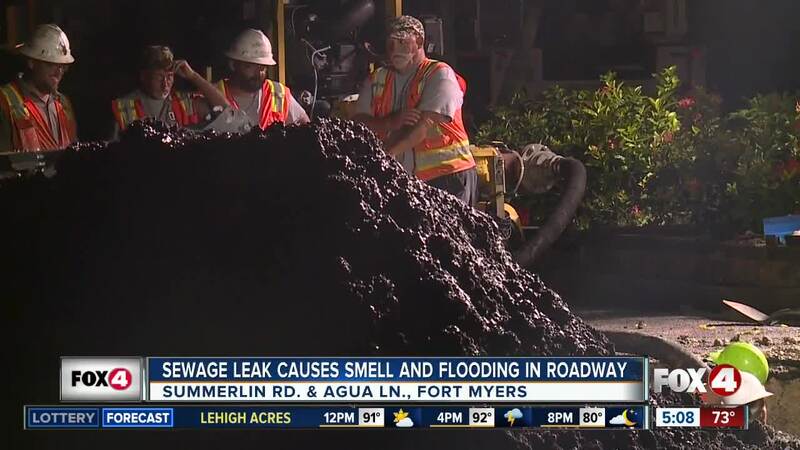 FORT MYERS, Fla. - Crews are working to repair a sewage leak at Summerlin Road and Agua Lane in Fort Myers. Four In Your Corner first discovered the leak Monday afternoon, and saw members from the Iona McGregor Fire District working to clean up the spill. As of Tuesday morning, the eastbound lanes of Summerlin Boulevard are closed. An update will be available as soon as there's more information.